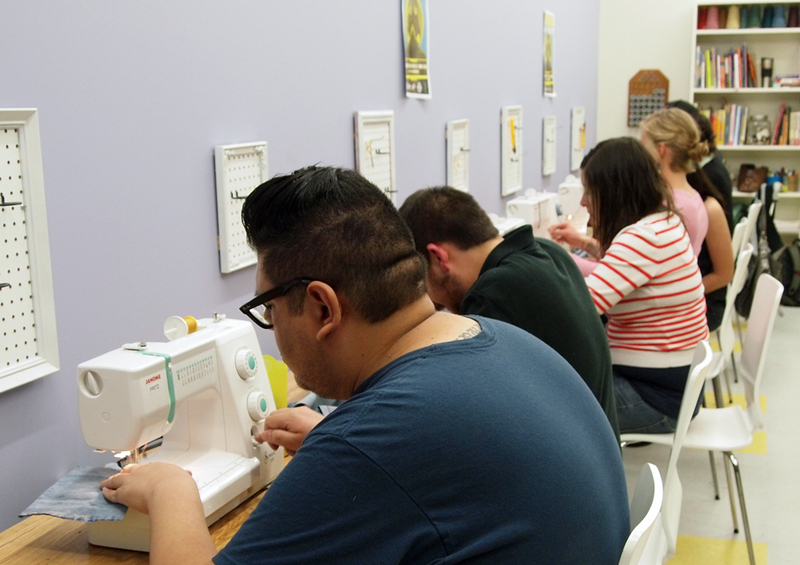 We recently hosted a sewing party for ManCub--local electronic and super crafty band extraordinaire. 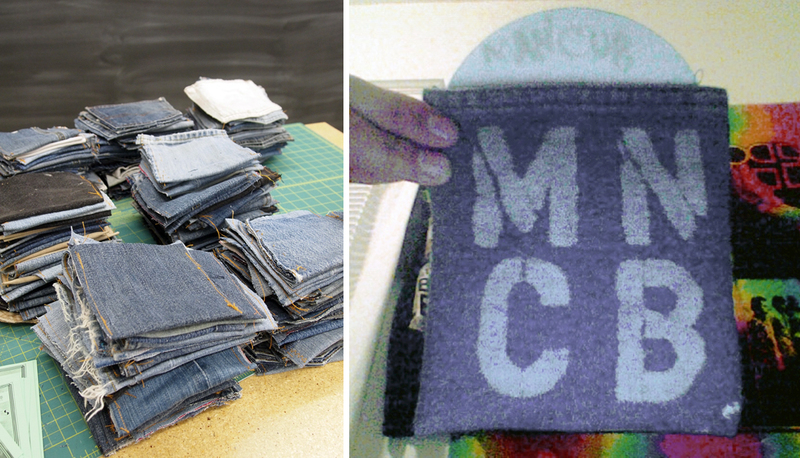 Getting ready for their EP release, ManCub and friends descended on our classroom and stitched up 400 repurposed-denim cd sleeves! 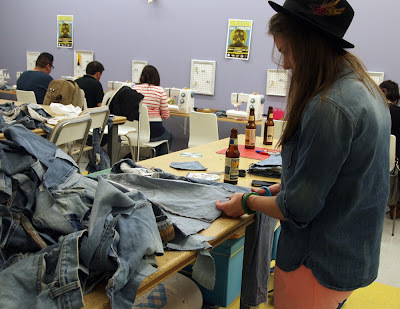 Volunteers dropped in all day to help out with this epic sewing project. 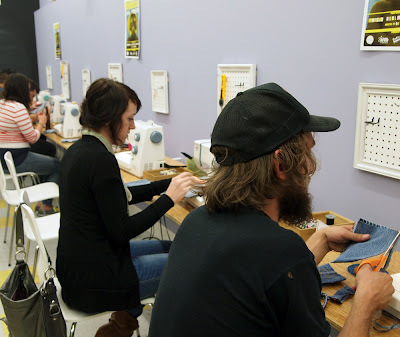 Everyone was welcome to come join in and cut or stitch the sleeves for their new EP. 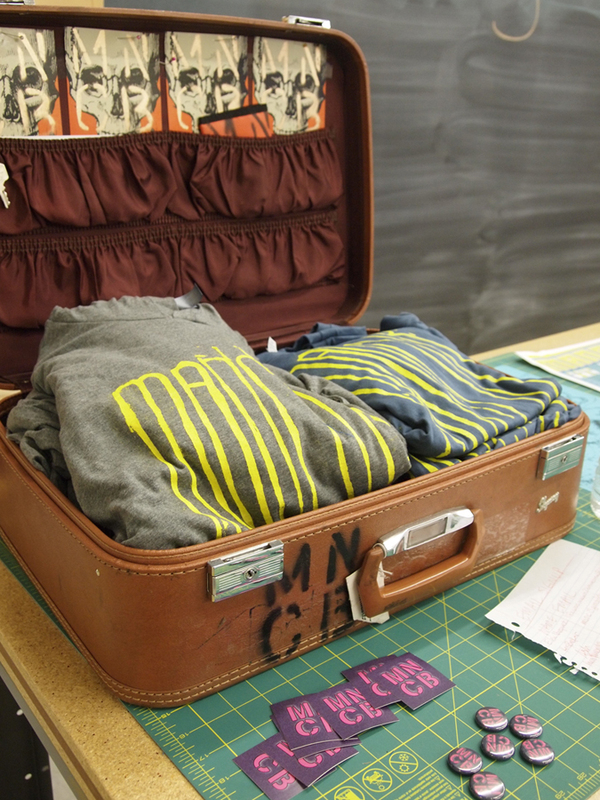 You can purchase these limited edition handcrafted goodies at their release party this Friday at Larimer Lounge. And without further ado, here is ManCub's newest single, Science. We promise you will dance. Cricket Looms are here from Schacht! Fancy Tiger Crafts in Mollie Makes!